No matter what it is in life; work, school or fishing, I am a goal setter! I believe there is nothing more satisfying then setting a goal, working hard and achieving success. Clearly when setting goals you need to stay grounded but don’t be afraid to reach for the stars! Last year I set a goal to catch a metre cod on the cast. 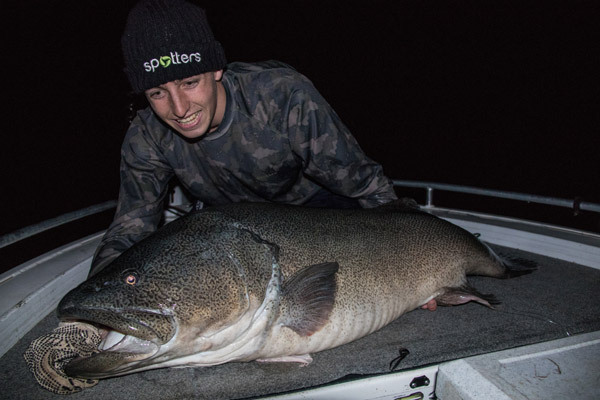 This goal was met by a 122cm Murray cod and this fish blew my mind. 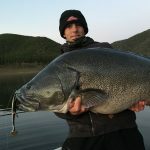 At the time, I thought this is a fish of a lifetime, how am I ever going to beat this? 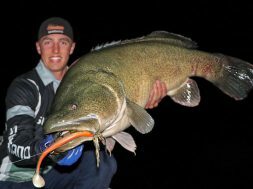 Tallis' first metre Murray Cod coming in at 122cm in length! To this day, catching a fish over 122 never became a goal but I think the whole time it was a dream. There was always a thought that I really wanted to catch a true giant. I knew they were out there but honestly thought hooking one was beyond belief. The temperatures were plummeting and the dam level was on the increase. 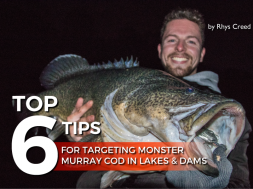 Good mate of mine Rhys creed and I knew this meant one thing, big Murray Cod. After having a successful campaign on the winter cod last year we were both keen to get back up the dam to try to repeat the same success. It was early in the week when we organised the trip to the dam. The plan was to head up Friday after school and work, fish until we get too tired, sleep for a couple hours and then fish until 10am the next morning. We knew it was going to be hard work, just like every other Blowering trip but we were willing to give it a solid crack. The week at school was a slow one and trying to concentrate on school work and not big cod was a challenge. There were many text messages sent between Rhys and I during the week. We were planning, organising and talking tactics but I think most of the time we were just saying how excited for the trip we were. The weather and barometric pressure was looking spot on for the Friday night pursuit. Thursday afternoon I stopped into tackle world to make a new purchase. I came out with the awesome looking G Loomis IMX swimbait rod that is 7’11”, 15-30lb. 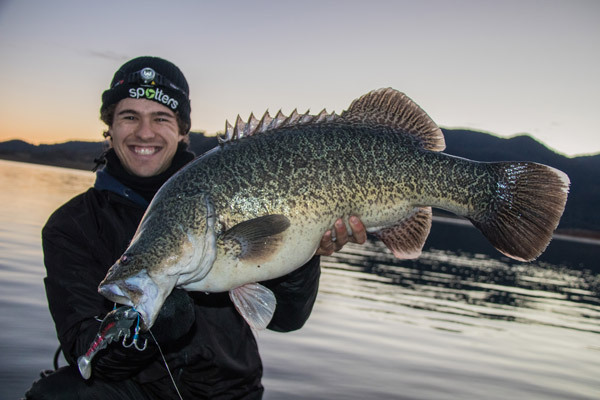 Certainly made for casting big lures and sticking big cod. I was keen to test the rod on the big Blowering cod. The long week finally ended and at 5:30pm, Rhys and I were heading off to our favourite dam. In the car, were now two very excited anglers ready to fish hard for some big fish! I can remember standing on the edge of the dam looking into the darkness with a sense of unknown that boosted the excitement. After waiting all week for this trip, it was a grand feeling finally being in the moment. The warm clothes were on and the boat was in the water, ready to start casting. We shot across the opposite side of the dam in the dark with only the stars to lead us. The theory was that the big cod would be up shallow feeding due to the rising water and cold-water temperatures. Therefore, we picked a bank that Rhys had fished a lot in the past which had all the key features. 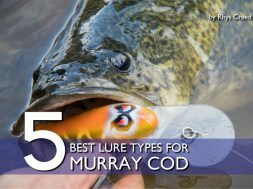 First, we both tied on the FX fury soft plastic, which is without a doubt our confidence lure. 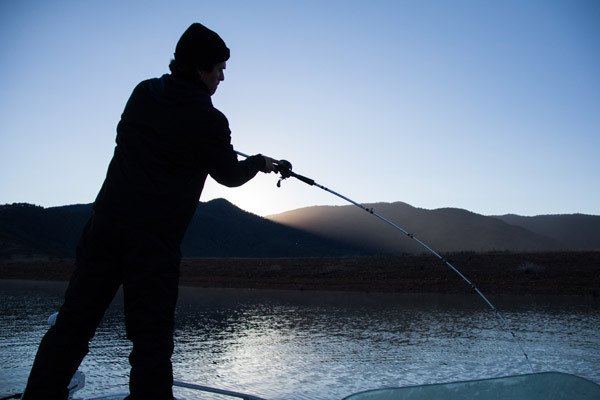 By 6:30pm, our swimbait rods were in action casting away into the darkness. The night was still, quiet and almost instantly we got the feeling it was going to be a good night. With every cast, the confidence grew but it soon became a very automatic process. We were definitely enjoying our time on the water casting and talking away. Without another boat in sight, it was a magic night to be on the water. But like always we had the worry and unknown that the lake could end up like it does on so many occasions. Would the fish bite? We had no idea what the night was going to hold… but there was only one way to find out. After about an hour and a half of casting it became repetitive and we got into a rhythm. At about 8pm we were still casting away and still talking about cod. By talking about cod, I mean we were talking about how perfect the night was, how good it would be to hook up and how we both wanted to see a monster cod. However the casting continued and little did I know that very soon something amazing was about to happen. It was about 8:10pm when I made a cast just like every other one that night and began to slow roll the lure back. It amazes me how one cast in the right spot at the right time can change everything in seconds. 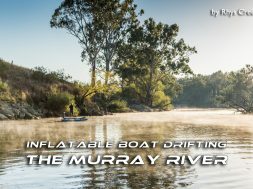 The soft plastic was half way to the boat and out of nowhere; I felt my lure being inhaled from beneath the surface. I could not believe it, I was onto a cod and immediately I knew it was a giant. 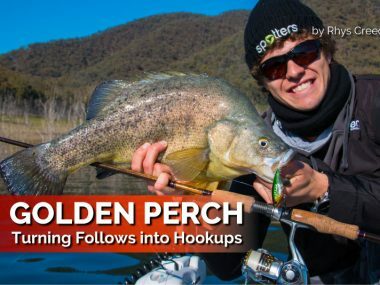 The hit almost ripped the rod out of my hand and instantly was taking line from my reel with ease… on a heavy set drag. It is such a difficult moment to describe because it is such an incredible feeling. All it took was one turn of the handle to turn a relaxed environment into the total opposite. The adrenaline was so intense! From the moment I hooked up my heart rate sharply increased and I was in total shock. Rhys and I both could not believe what was happening. After just talking about this exact moment to now being in the moment, it was insane. The concentration soon turned to landing this fish in shallow water. From the initial run, he was quickly on the bottom and fear hit us when we heard leader and sticks making a terrible music. While shaking in excitement I managed to give the fish some stick with my new rod to veer him away from the danger zone. With a torch in hand Rhys lit up the water to reveal a true giant. 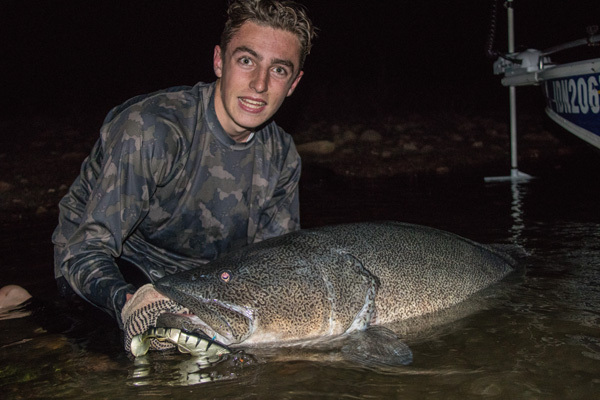 I was speechless; this Murray cod is my dream fish. Without playing up the fish hit the net with ease and we could not believe what just happened (I still cannot). I was on the deck shaking and could not say a word. Being on the boat with a great mate, with a fish of a lifetime in the net is what dreams are made of, it is a moment I will cherish forever. With care, we lifted this extremely heavy fish into the boat. This is a fish of many lifetimes and I am so grateful to have been in its presence. The dreamlike moment is so hard to put into words. We snapped some photos with the giant fish and then I hopped into the water with her for a safe release. I was high on adrenaline and shaking like crazy. The few minutes with the fish is a bit of a blur but I know it was the greatest fishing moment of my short career. Not many people will have the privilege to see a fish like this let alone have it on the end of your rod at 16 years of age. 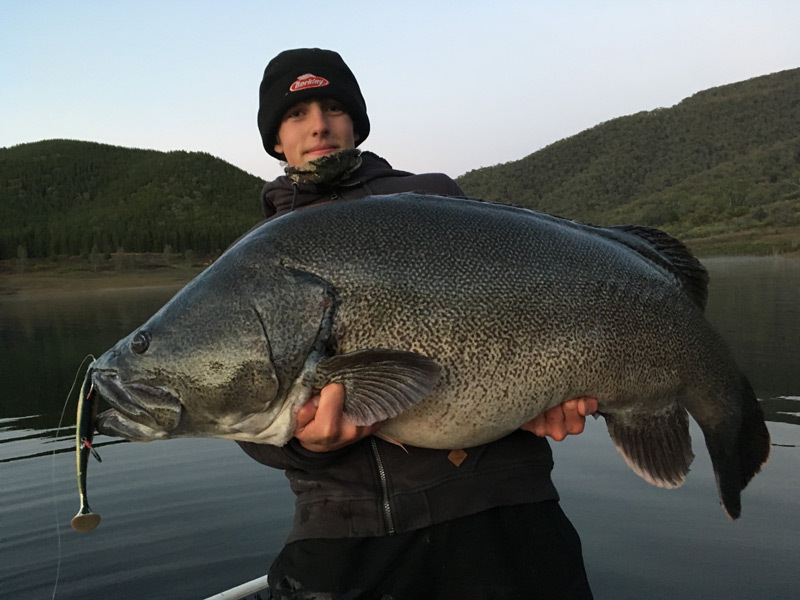 Witnessing a fish of these proportions is incredible! 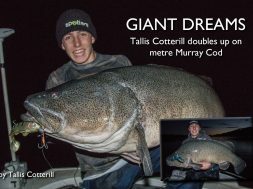 Tallis Cotterill looking over the biggest cod he has ever seen! Before this night it was just a dream. The FX Fury pinned firmly in the corner of the jaw. 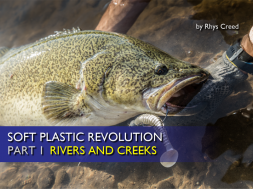 You can learn how to rig these plastics properly in the tutorial on the website. 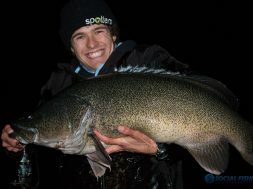 Tallis jumped in the freezing cold water to cradle the monster before release. Like I have said, it may take thousands of casts but it only takes one to turn a dream into a reality. Rhys was so happy for me and I could not think of a better fishing partner to share the moment with. We sent the big girl home and I realised this is what we live for as fisherman, it is the ultimate of freshwater fishing. The experience was unbelievable and the best part was watching the beast power back off full of energy! For myself the night was now complete but I continued to cast the rest of the night. I started chucking a few new swimbaits before deciding to go for the surface option, because I had nothing to lose. The rest of the session was tough fishing but that one bite kept us happy for the whole night. We hit the swags at about 12:30am with the alarm set for 3:30pm. We both could not keep our mind off the giant we had just landed and both agreed that any fish in the morning would be a bonus. The alarms awoke us in the cold, dark morning but like always, we were eager to start casting. I remained with the surface option and Rhys with the trusty FX Fury. My confidence increased as trout and carp were active on the water’s surface. We toughed out the cold start to the session without a hit but knew the best fishing was ahead of us. First light hit the hills and just started to expose more of the water’s surface. The setting felt picture-perfect. We were targeting the shallow water and actively feeding fish. 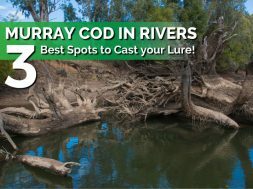 All it took was five cranks of the handle in less than 2 metres of water before a big Murray cod destroyed my surface lure. At the time, I was not paying attention but that deep, powerful sound of a BOOF sent me into total shock once again. 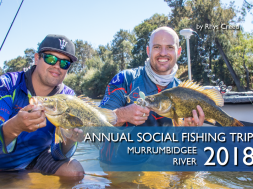 Nine hours after my dream fish, I was now hooked onto another solid Murray cod, off the surface! I managed to get the better of the cod and he was out of the danger zone quickly. The first glimpse we got of the fish, told us that this was another giant. It just seemed too good to be true when my second metrey of the trip hit the net. The Gobsmacked 175mm Leviathan surface lure fell out once in the net because the cod was only just hooked by the back treble. 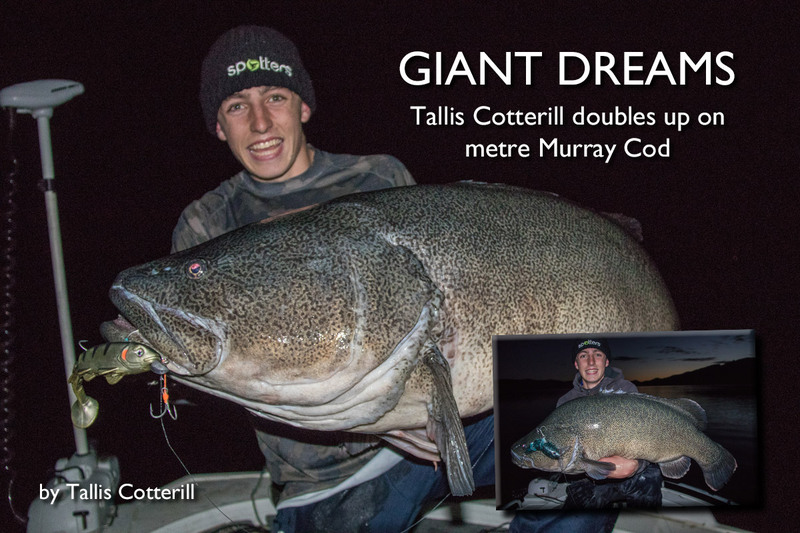 We didn't think it could get much better until this 101cm Murray Cod detonated Tallis' 175mm Gobsmacked Leviathan! The author with his second metre cod of the trip! 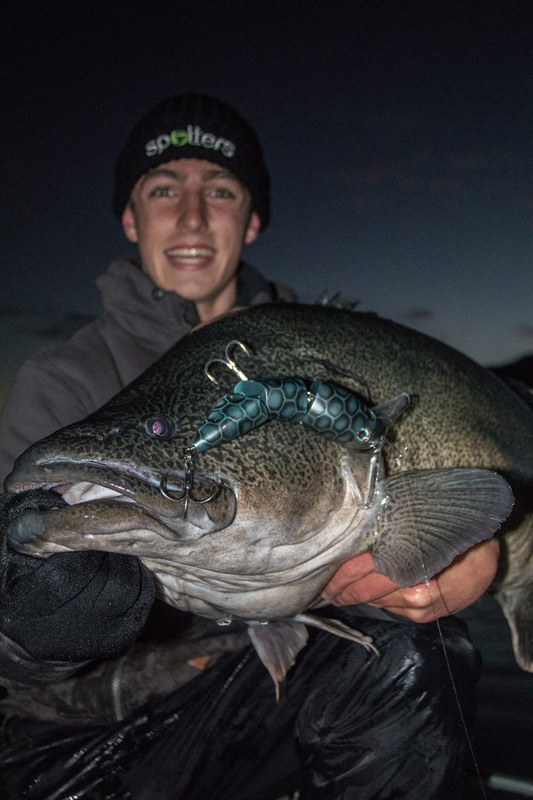 Catching a metre cod on a surface lure has always been a goal but I was certainly not expecting it to happen on this night. The 101cm cod was super fat and in healthy condition, which was good to see. To catch this fish, on this technique was such a staggering way to top off what was already the greatest night. Many people will put in a lot more effort then what I did to catch my first surface metery and that is why I am again so grateful for the experience! The Gobsmacked surface lure was put away for retirement and we kept on casting with huge smiles on our faces. 15 minutes after this milestone Rhys hooked up and I was stoked because I knew how much effort he had put in this trip. 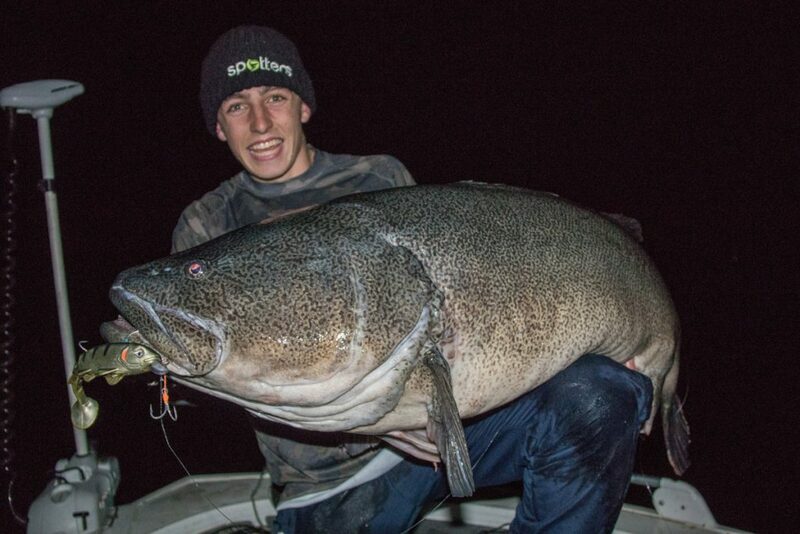 A very nice 77cm cod popped up with the reliable FX fury hanging out of it gob. The morning continued without another hit but we both knew this was a very special trip. 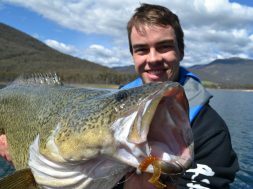 Blowering dam is unquestionably a magic Murray cod impoundment. If you want to turn a dream into a reality, it is certainly the place to do it but yes, it will be hard work. A night like ours is rare and this is not going to happen every trip but the only way to give yourself that chance is to put in the hours. Blowering dam is unforgiving and you will go plenty of trips without a single hit (we have all done it many time before). After all the casts I can guarantee you it is all worth it when a once in a lifetime fish grabs on. 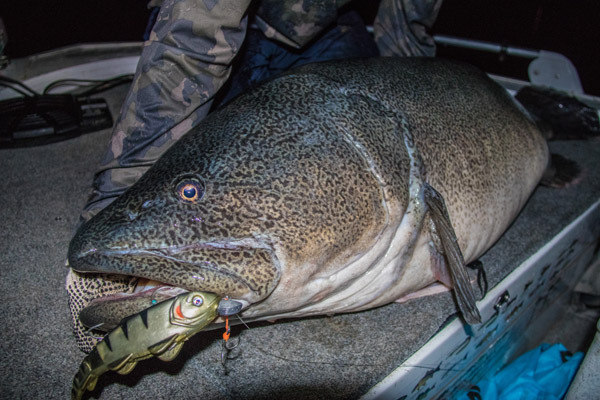 To encounter two Blowering dam giants on very different techniques is crazy. It was a very special trip and one Rhys and I will forever remember. Tallis Cotterill Tallis is the youngest and newest member of the Social Fishing team. He grew up fishing and loves the challenge it brings. 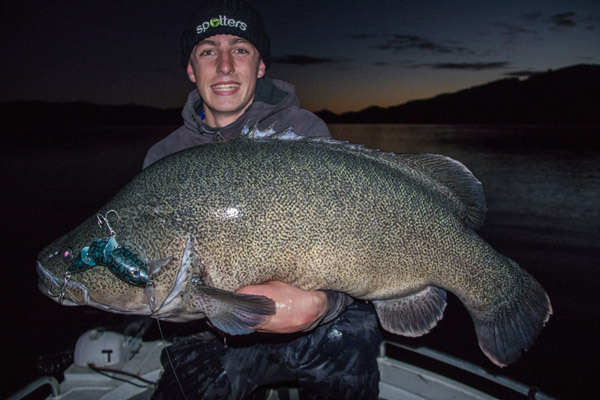 Tallis spends his time targeting all freshwater species in a number of different locations. 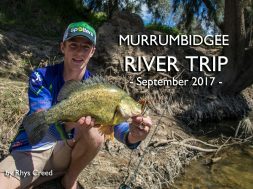 Casting lures for Murrumbidgee cod and targeting monster cod in the dams are his favourite styles of fishing. 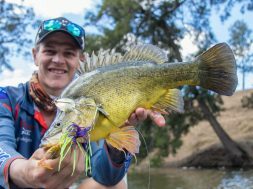 Tallis enjoys sharing stories and articles to help other anglers learn more about freshwater fishing. A very inspiring read . 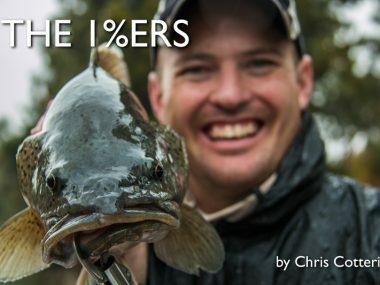 On those fishless trips one read of this , again gets the enthusiasm levels high .